Over the time we have published a number of how to papers regarding the SAP planning solutions on top of SAP BW. Our latest planning solution BPC 10.1 Embedded relies on the techniques of PAK/BW-IP and thus the how to papers published for PAK/BW-IP are also usable for BPC10.1 Embedded. Below you will find a list of all relevant how to papers. In addition we have a number of papers describing how Analysis for Office can be used in planning (BPC10.1, PAK, BW-IP). As BPC Embedded is also the engine used in BPC Optimized we also publish here How to Guides that have been written for BPC Optimized as the generic techniques described in there also can be used in BPC Embedded, PAK, and BW-IP. from PLC and importing them into S/4HANA by using the app “Import Financial Plan Data”. After importing the plan data, users can run reports (e.g. : P&L with detailed production costs and sales revenues) which do not only contain the financial plan data generated within S/4HANA but also the plan data calculated in PLC. SAP customers who use SAP BPC Optimized for S/4HANA want to provide a custom Balance Sheet Structure as BW Query (e.g. for consumption with Analysis for Excel). This How-To Guide describes the required standard tables, logic of a custom data model and provides a step-by-step guide. SAP customers who use SAP BPC Optimized for S/4HANA for financial planning in Management Accounting want to control the overall planning process by a guided work flow. This How-To Guide describes the use of Business Process Flow (BPF) from SAP BPC and the combined synchronized use of BPF and Work Status (WS) within the embedded Business Planning and Consolidation (BPC). The description bases on a step-by-step example to demonstrate this integration of WS with BPF. In general, SAP recommends to use BPC Optimized for S/4HANA only for the SAP standard scenarios. Beyond those cases particular rules and limitations may apply. This guide gives you some guiding examples. This How-To Guide describes step-by-step, using an example, how customers can use BRFplus applications for manipulating plan data. This paper shows how a Design Studio application can be called from a BPF. It is also shown how the context can be transmitted to the DS application and thus be used to set selections in there. This how to paper shows how you can use SQL-script to program you exits for characteristic relationships in BPC Embedded/PAK. With this technique it can be made sure that the execution of the relationship and thus the entire planning model is done in HANA. This blog shows how variables in Analysis for Office can be pre-populated so they are filled before the first refresh. SAP customers who use Integrated Business Planning for financial planning in Management Accounting want to control the overall planning process by a guided work flow. This How-To Guide describes the use of Business Process Flow (BPF) from Integrated Business Planning (IBP) and the combined synchronized use of BPF and Work Status (WS) within the embedded Business Planning and Consolidation (BPC). The description bases on a step-by-step example to demonstrate this integration of WS with BPF. Existing planning function types allow implementing a wide range of planning scenarios. Nethertheless you might look for an easy way to define additional planning functionality using DSM-Decision Service Management / BRFplus. BRFplus is SAPs rule engine which is widely used in the Business Suite for customer defined validations, derivations and calculations. When using BPC 10.1 (Embedded Model) and the EPM client 10.0 it is currently not possible to create new lines in a report that is based on a BW query. Obviously this is a feature that is crucial for a planning application. Until a proper solution is provided this How to paper will show how new lines can be created with the help of a BW planning function. RSTT trace is the necessary information to analyze the Integrated Planning issue(See KBA 1904455, 1904955 and 2045393). However, some customers don’t realize the importance, or cannot provide the useful trace for the issue, which delay the issue solving process. If this job needs to be done by SAP AGS support processor, sometimes we have to get the trace permission and more connections than R/3 support connection, e.g. BW GUI/RFC connection and/or HTTP connections. Additionally, the given userid to analyze the issue needs to assign suitable authorization and role to replicate the same issue as the end user, which takes more time and effort to confirm between customer and SAP relevant experts. This article will show how to provide a useful RSTT trace for Integrated Planning issue with an example. In the Planning Application Kit it is possible to use planning functions that are written as SQL-Script procedures. These procedures can replace planning functions that are created using ABAP, as ABAP based planning functions cannot run in memory. In an older How to Paper (How To…Easily Create a Test Environment for a SQL-Script Planning Function in PAK) we have already described a solution how a test environment in HANA Studio for such procedures can be created using a planning function. In the current paper we want to explain a more recent and easier method to reach the same goal. SAP customers who use Integrated Business Planning for financial planning in Management Accounting are often in the situation that key figures are to be planned for master data that does not yet exist in the tables of the ERP system. This How-To guide uses a concrete example to show, step-by-step, how additional characteristic values can be defined that function in financial planning of Management Accounting as provisional master data and can be planned, but do not yet exist in the tables of the ERP system. The Planning Applications Kit is capable to execute calculation used in planning functions in memory and thus greatly accelerates the execution. Unfortunately not all planning functions can be executed in memory, especially custom defined planning functions using ABAP. This paper shows how such planning functions can be developped usiong SQL-Script. In the Planning Application Kit it is possible to use planning functions that are written as SQL-Script procedures. These procedures can replace planning functions that are created using ABAP, as ABAP based planning functions cannot run in memory. In this paper we show a convenient way to create a test environment directly in SAP HANA so development and testing of such procedures can be facilitated. In planning functions it is often necessary to use data that does not lie within the aggregation level. This data can be stored in the InfoCube as well or in a data base table. One example might be a table storing rates and a planning function that multiplies a key figure value with the corresponding rate. With BW 7.40 SP6 and notes 1976514 and 1976522 it is now possible to easily access such data in a SQL-Script procedure. In this paper we show you how this can be done. This guide shows how an upload for a flat file can be built up in BW-IP (and thus PAK and BPC Embedded). We have also now a new planning function type that offers an upload (BW 7.50, SP5). Currently the planning function is only usable in transaction rsplan so the how to paper is still valide for many cases. In How to… Build a Fast and Flexible Comment Solution for BEx Web Applications we have introduced a concept for comments in SAP NetWeaver BW BEx Web applications. In a second paper we have described a planning function that can be used to delete records together with the comments created with the above mentioned solution (see How to… Build a Planning Function that Deletes Comments in BW). In the current paper we now introduce a planning function that can be used to copy data records together with the comments created with the comment solution. SAP BusinessObjects Analysis for Office can be used as an Excel planning front end (in conjunction with BW-IP or PAK). When planners change their plan data they do not only want to enter the absolute number in the systems. Sometimes they want to raise the value in a certain cell by say 10% or want to raise the existing value by a certain increment. As PAK and BW-IP expect absolute numbers the user has to calculate the number in a little side calculation. In this paper we show how a simple solution can be realized where the planner can enter a simply formula and apply this to one or several cells in the worksheet. This functionality is often referred to as ‘pocket calculation’. 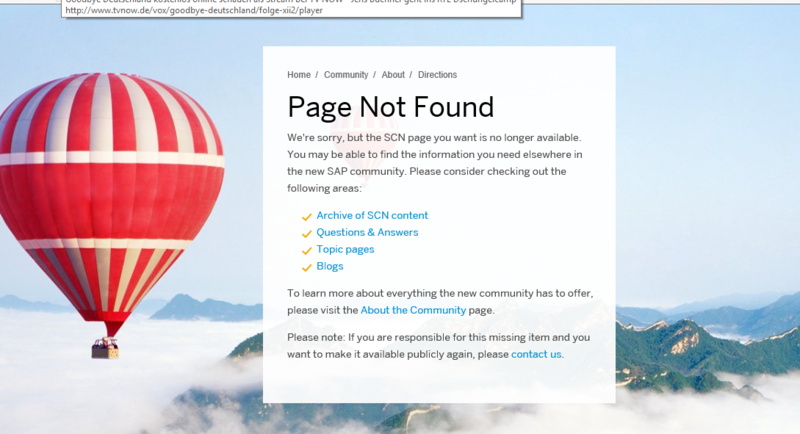 In the How to Paper – Log Changes in Plan Data Using DataStore Objects (see http://scn.sap.com/docs/DOC-16124) we have given an example how to use the Logging BAdI in SAP NetWeaver BW-IP. This paper is building on this How to Paper and describes how the logging functionality can now also be used in conjunction with HANA and the Planning Applications Kit (in memory planning on SAP NetWeaver BW). In our paper How To Build a Fast and Flexible Comment Solution for BEx Web Applications we have introduced a solution for using comment in BEx Web Templates. In the current paper we introduce a planning function that can delete data records together with the comments created with the mentioned solution in one step. This How to Paper shows the solution how the SAP BusinessObjects Analysis, edition for Microsoft Office can highlight the changes in several queries in a workbook at the same time. When analyzing BW data or especially when planning new key figure values using BW Integrated Planning there is a need to enter some comments to explain the entered values or add some text information to key figures. In this paper we will describe a flexible yet simple to use solution for using comments in BEx Web Applications. Note: This paper has been revised and updated in July 2012. It now offers a much more general solution (most restrictions on the query have been eliminated) and also additional features. Also a number of problems have been solved. It is strongly recommended to use this new version of the paper. This How to Paper shows how to implement a simple offline planning solution using BW-IP or ABAP Planning Applications Kit with SAP BusinessObjects Analysis for Office. It describes how workbooks are built where the user can change plan data offline and later synchronize the data again with the BW server. When using planning functions in a planning application the user often wants to interactively narrow down which are the numbers or records that the planning function should change. In this how to paper we show an example for a planning application built with SAP BusinessObjects Analysis for Office and SAP NetWeaver BW Integrated Planning where the user can select one or several lines in a data source (query) and execute a predefined planning function on these records. In many planning project it is not only necessary to create new plan data but also to keep track how this new data originated. Thus a mechanism is necessary that logs all changes done in the plan data – either when new data is created or existing data is changed. Usually the logging information contains information about the user who has done the changes and the date and time when these changes where performed. This paper gives an example how the new logging BAdI delivered with SAPNetWeaver 7.0 EHP1 (SP6) can be used to log information about these changes in a DataStore Object. As the example is very generic the contained coding can be easily adapted to a given customer scenario. BI Integrated Planning concentrates mainly on key figure planning. Nevertheless there is quite often the need to manually change the characteristic values of a record during the planning process. This how-to paper describes a technique that can be used by the end user to replace characteristic values in records either by choosing existing values from a drop down box or by entering new values (for a characteristic without master data) in an input field. Thus this technique can be used to do a lightweight master data planning. The how-to paper explains the underlying technique and gives a step by step description on how this techniques can be used in a Web template. It is very common that within a planning application several plan queries are used. For usability and performance reasons, these queries are usually placed on different tab strips (BEx Web) or Worksheets (BEx Analyzer). An easy example could be a revenue planning where the end user can enter the prices, the sold volumes, and can view the calculated revenue. The end user starts with entering the prices on the first tab strip and moves then on to the second tab strip with the sales volumes and the calculated revenue. In this How to Paper, we will show how the performance of such planning applications can be improved. In planning projects we often deal with a great number of plan data for the entire project. The single planners usually are also responsible for a great amount of data but often only change a small subset of this data. Which data will be changed by the user cannot be foreseen. On the other hand the number of touched records is a crucial parameter that drives the performance of planning functions. Thus the number of those records should be restricted as much as possible. This how to paper will show how to model a system where the records changed by the user will be marked by a flag. The flag can then be used to build up a minimal selection for the planning function. Often users want to be able to have a simple offline planning solution. They want to open their normal Bex Analyzer Workbooks, save them locally on the disc and want to enter new data offline. At a later point of time they want to log on to the system again by starting the Bex Analyzer, open the locally saved workbook, and save the changed data to the system. It is crucial that there is no separate offline solution but that the same workbooks as in online planning are used. This paper will show how to use some macros to enable such a solution. In planning projects we typically have the situation that each user is responsible for a certain work-package. These work-packages usually also depend on the planning application. The work packages of two different users might be disjoint or they might overlap. For latter case, locking conflicts may arise. This how-to paper shows how work-packages can be modeled efficiently to avoid locking issues. thats all what i get if i click on any document link. Very annoiying. Where are the how to papers??? Yes, you are right – this is very annoying. We had an issue with the migration from sdn to the new platform and in many cases there is an issue with the links. I have already tested all the links and updated the papers in the data base. Unfortunately we need an additional redirect in the system so the links should be available in the next couple of days. I am also working on an alternative (and faster solution). Very sorry for this.If you need a specific paper right now you can send me a note and I can email it to you. We are getting there… We still have an issue with one paper (https://archive.sap.com/documents/docs/DOC-63225) but all the other papers should now work correctly. The issue has been solved and now all papers mentioned in this post should be available. We are starting a project of consolidation in BPC 10.1 Embedded with s/4 HANA. We do not know how to start to perform the modeling in the part of SAP BW, cubes, features,… for the consolidation project, there is a step by step guide to modeling for the part of consolidation? Thank you Gerd for the comprehensive list. I am looking into something where I want users to put couple of flags and may be a comment on to the data that is already consolidated for them. Would that be same as creating comment feature three times? I also want to do some post-processing of data based on the flags. We are right now on IP on BW 7.5 and would soon be moving to HANA and will switch on the BPC embedded. Should I wait until I have BPC embedded for the project? I assume you are talking about the DSO based comments/attribute planning. You do not have to create 3 different DSOs but can create one DSO with a comment field and several attribute fields. You do not have to wait for the move to BPC Embedded but you can implement the solution already and continue using it with BPC Embedded.